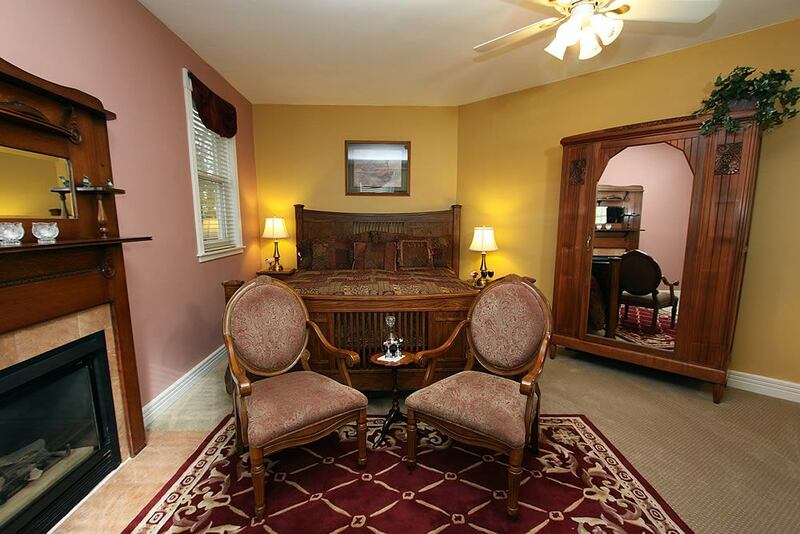 A very romantic room with its own patio, garden and fountain. 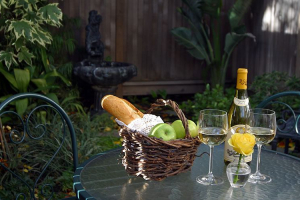 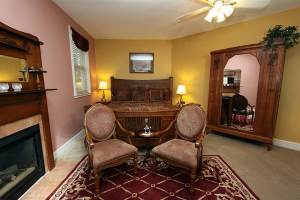 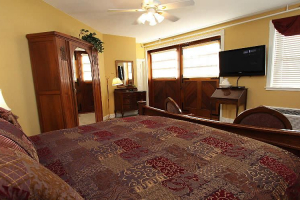 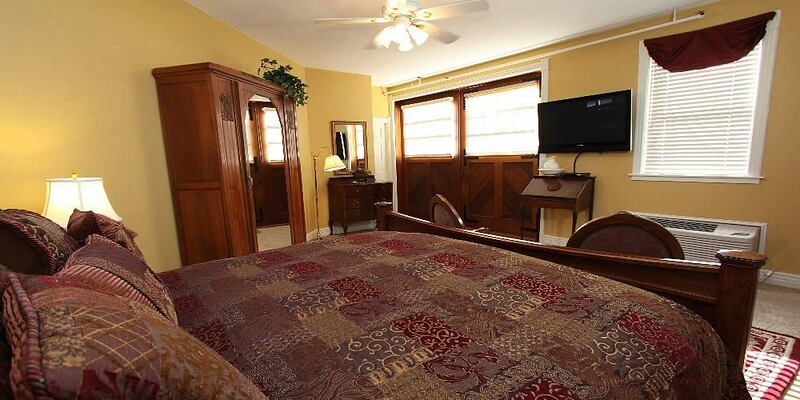 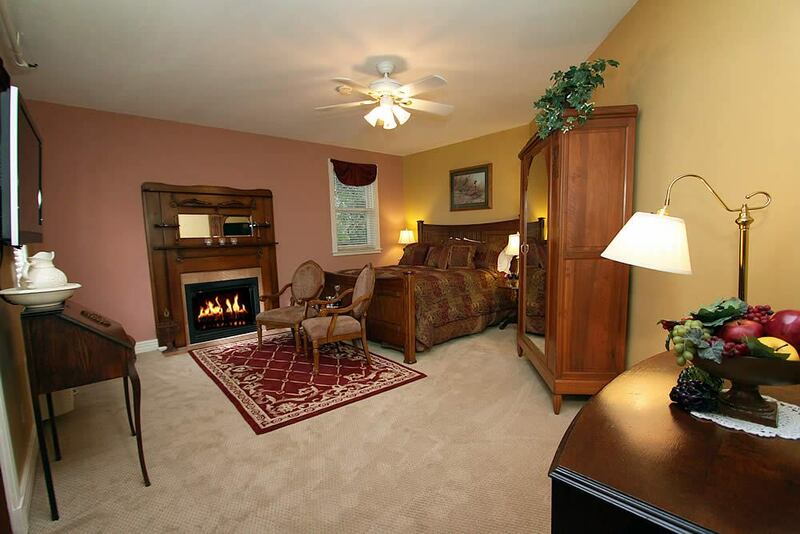 Enter through dramatic carriage house doors to a king bed, relaxing sittng area, gas fireplace, and 42″ Plasma HDTV. 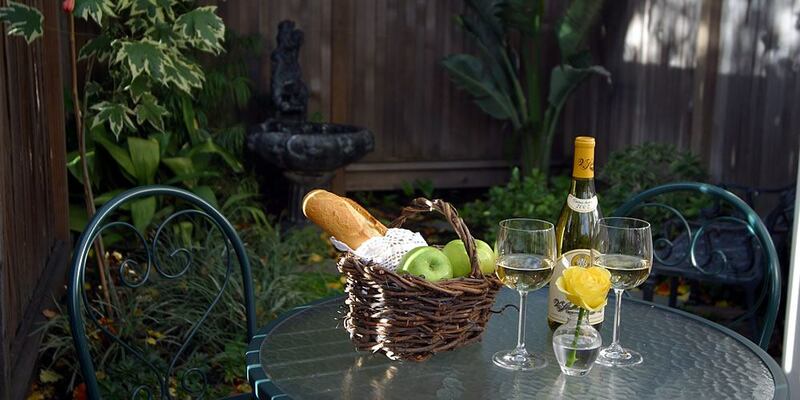 There is a 6 bottle personal wine cellar – enjoy a lovely bottle of wine at perfect temperature anytime. 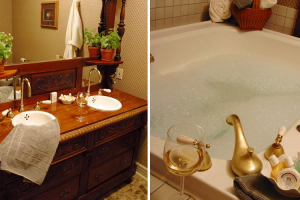 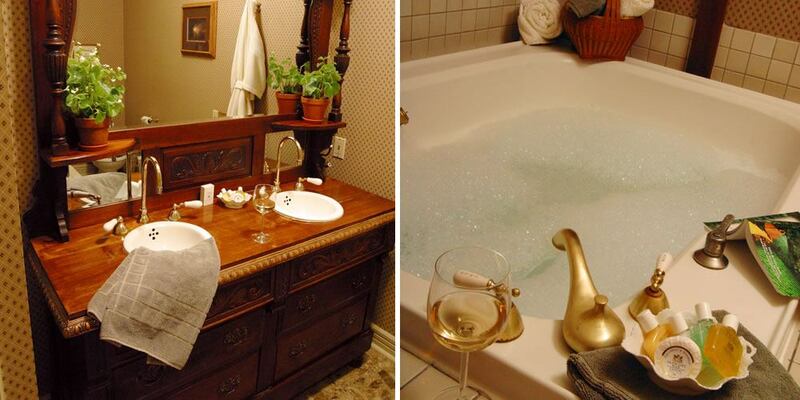 In the private bathroom, a two-person whirlpool tub with shower over and beautiful dual sink vanity top off the excitement.